John is a long-time poet, short fiction, and article writer. He studied a Writing for Profit course through ICS but loves story-telling. I woke this morning early enough to catch them. The come out of hiding just as the sun is rising and stay around grazing on the new green grass shoots, still damp with dew. I part the curtain and, still rubbing the sleep from my eyes, see a female wallaby only a few feet outside the bedroom window. Oh, and what's that?....oh yes, a tiny joey poking his head, timidly at first, out of her pouch. Gaining confidence, he soon leans further out so that he can nibble on the grass like his mother. This is a regular scene where I live. If I had woken a little earlier, around 6 am, I may have observed five or six of these beautiful and gentle creatures in my front yard. A little later, they will hop one following the other, into the bush close by to rest during the hottest part of the day. They will reappear around 5 pm as temperatures begin to ease and the sun is close to setting. When driving to town we often disturb groups of kangaroos or wallabies and have to drive slowly so that they can jump across the driveway without being hit. They very rarely stay put grazing at the roadside, for some reason preferring to jump across in front of cars, hence hundreds are killed on the road every day. Regrettably in the seven years we have lived here, I have hit and killed two kangaroos. No matter how careful you are there are always some you don't see until too late. It is an unwritten law that if you hit a kangaroo or wallaby, you should stop the car and inspect the body in case it was a mother with joey in her pouch. Sometimes the baby may be still alive and can be saved if taken to a wildlife ranger or the animal rescue. The only other marsupial we have encountered where we live is the echidna or spiny anteater. Now and then we will have to stop the car to allow a lazy pincushion with legs to amble slowly across the driveway or road. A friend of ours actually had the misfortune (wasn't very lucky for the echidna either) to run over one in his 4 wheel drive at night. He ended up with two flat tyres and only one spare, each tyre having about eight quills sticking out of it. 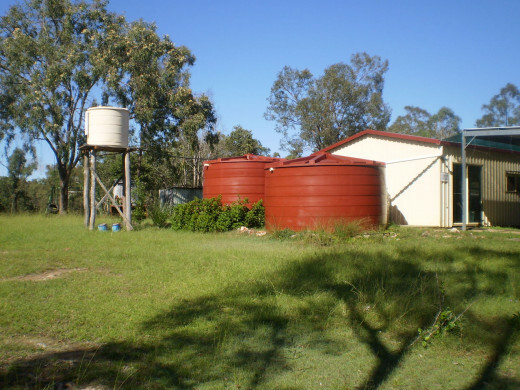 I live with my wife Kathleen on a 40 acre property in a small rural community called Ballogie, which is situated about three hours north west of Brisbane (our state capital) in South East Queensland. In this area any properties of 50 acres or less is called a 'block', and the people who own these are affectionately known as 'blockies'. 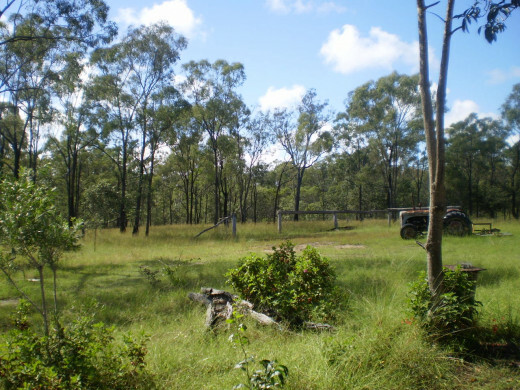 This is also somewhat of a derogatory term used by some, indicating that the land is too small to be classed as a farm as it is unable to sustain enough cattle or crops to make a living. To us however, this is our piece of paradise. We may be a good half hour drive to the nearest town, and 45 minutes to one big enough to have a bank, gas station, department store and fast food outlets like McDonald's and KFC. What makes up for that, is the peace and quiet, the freedom to have as many pets as we like (currently four dogs, four cats, four hens and two roosters), and no immediate neighbors. As an added bonus we have the privilege of sharing our 'block' with the local wildlife. Kangaroos and wallabies are the most abundant wildlife in the area, although the 'roos' are a little more timid and tend to stay a greater distance from the house. One other creature we share our block with but are in contact a little less often is the snake. In this area the most common we have encountered are: carpet pythons, red-bellied black snakes, and brown snakes (the latter two both venomous varieties). I have on more than one occasion had to extract a carpet python from the chicken coup. They often seek out eggs and smaller chickens as easy prey and a quick meal, usually at night when poultry are sleeping. They are defenseless and don't move for anything. The last time I remember hearing a commotion in the hen house at about 10 o'clock at night. Armed with just a flashlight I went to investigate, and found a 10 foot carpet python curled up on top of the nesting boxes. I wasn't leaving him there to have his fill of chicken dinner so I grabbed the tail in one hand, flashlight in the other, and pulled. Well Mr Snake wasn't giving in without a fight and coiled himself around one of the posts holding up the pen. As determined as I was to remove him, he was just as determined to stay put in his own version of KFC. With a few hard tugs I managed to eventually cause him to release his grip and I managed to drag the massive snake a few feet before he gripped onto something else. After quite a struggle however I managed to drag him out of the hen house and onto open ground where he had nothing to grab onto. Fifty feet later I had managed to get him out of the back yard and into the bush where I released him unharmed. There is always a chance that snakes will return to the scene of the meal unless relocated more than 10 kilometres away, but this was the middle of the night and I didn't have a choice. Fortunately he hasn't returned since. 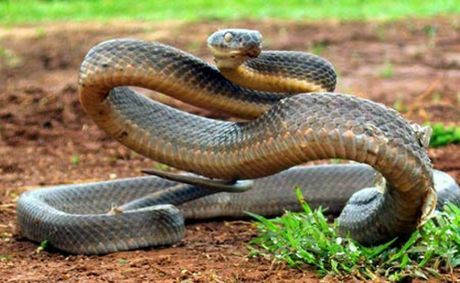 Venomous snakes such as the brown snake and red-bellied black are a different story, especially when close to the house. I have the philosophy that we live on 40 acres, give us ten around the house and the snakes are welcome to the other 30. 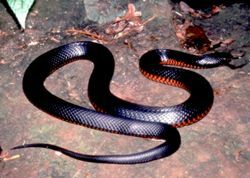 Red-bellied black snakes are the most common in this area, and although venomous, they are not aggressive to people unless threatened. They like to curl up in amongst plants and cool shady places so can sometimes be attracted to our gardens or shade house. Usually coaxing with a garden rake or the like will have them on their way without much drama. Another egg lover that occasionally visits during the warm Summer months is the goanna (a large lizard of the iguana family). It grows to about six feet from head to tip of its tail and looks like a small Komodo dragon. Unlike the carpet python the goanna stalks it's prey during the day and if you hear the poultry causing a ruckus in daylight hours it often signals his presence. I usually have one of the dogs with me, so Mr Goanna will usually beat a hasty retreat up the nearest tree when he sees us coming. It is said that if you ever corner a goanna in a clearing you should crouch down as they will always try to race up the tallest and nearest tree. If you are standing, to them, you look like a tree. The most prolific creatures in our part of the world, as in most others, are the birds. Our block is home to a wide variety of these feathered friends. 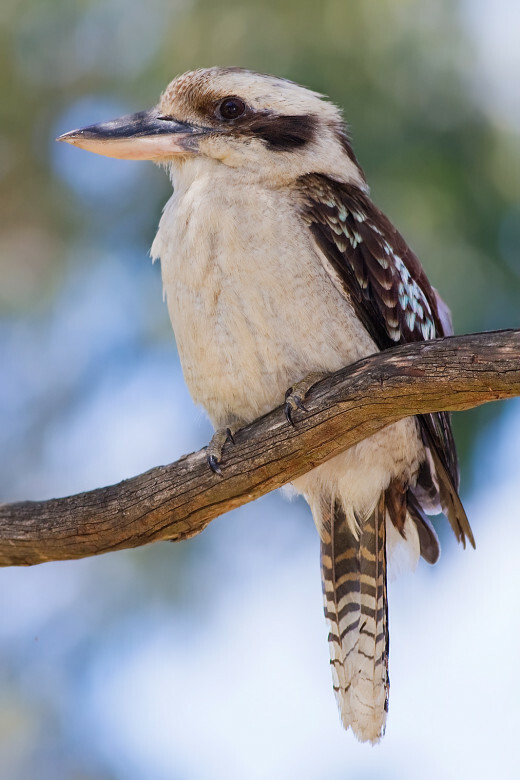 The most famous Australian bird is probably the kookaburra. They often wake us with their distinctive call, and in fact their raucous laughter is often a warning that there is a snake or goanna close by. Beautiful king parrots and red wings come to feed on the seed we place in bird feeders hanging from our back patio and are sometimes tame enough to actually feed from your hand and even come inside the house. Sulphur crested cockatoos nest in a large dead gum tree in outside the back fence, and come to a bird bath in our garden to drink. Pink and grey galahs sometimes feed on the clover when it is in flower, and various types of minor birds and honey eaters can be found feasting on the nectar from the flowers of the native grevillea or bottle brush outside our back door. Left-over cat and dog food is the favorite fare of the black and white brigade, the magpies, butcher birds, peewees and currawongs. They wait expectantly on the power line or nearby tree waiting for the cats and dogs to finish eating, before swooping down to finish off the leftovers. We are often treated to a delightful song as they sing for their supper. 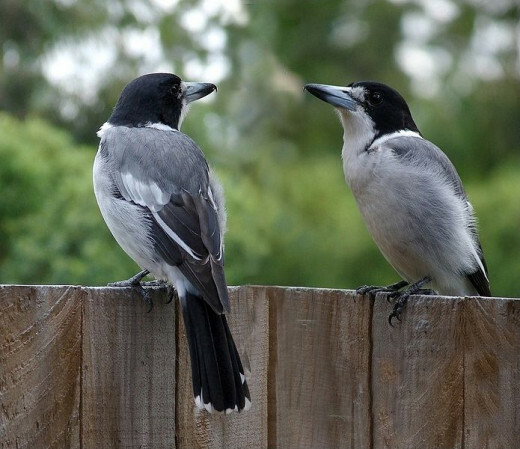 They may be rather plain as far as birds go, but magpies and especially butcher birds have a delightfully melodic song. Sometimes the dogs will hear them pecking at their bowls and decide to chase them away, but mostly they just accept the situation. The cats are well fed also, so rarely worry about the birds, though now and then the predatory instinct must kick in and one may be killed. 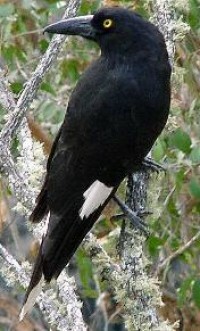 Currawongs are large black birds a little like a crow, but they have a white underwing. They gather under the macadamia nut trees and have worked out how to open and eat any nuts that have a cracked outer shell. We may not live in the city with all its conveniences and hustle and bustle, but we still have an enriched and fulfilled life through the wonderful opportunity we have to observe and interact with nature. All this and it's right on our doorstep, what more would we want. ps. I forgot to mention the multitude of insects, bugs, spiders, scorpions,c entipedes and the like that we also share space with. But that's a whole other story. 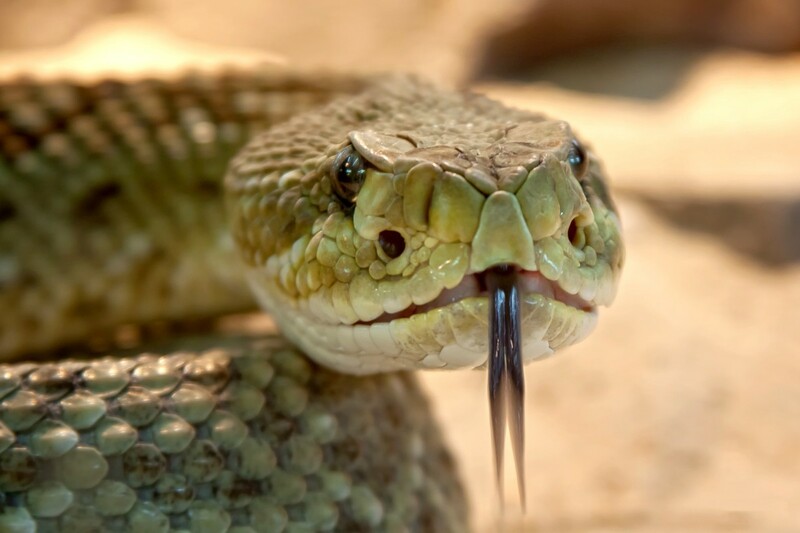 How would you react if you came in contact with a venomous snake? Turn and run the other way as fast as possible. Try to catch it to keep as an 'extreme' pet. Kill it! "The only good snake is a dead one". Just stand still and let it go on its way in peace. Thank you for reading Rajan. I try not to take it for granted. Glad yo enjoyed reading this. Beautiful pictures and I'm envious; you have such a lovely place to live. Maybe isolated, but I love to live among natural surroundings. It was a treat to read about your encounters with the wildlife John. Thanks for checking this hub out Stella. We get used to seeing whatever critters are native to our area. Kangaroos and wallabies are around so often we are just used to them being part of the block. I would love to see a squirrel as I have never seen one of them in real life. Snakes I try to leave to their own devices unless they come in or too close to the house. I greatly appreciate you taking the time to read this hub Mystic, and for your generous comments and vote up. Welcome fellow 'blockie'. It seems we have quite a bit in common, apart from the types of animals in our parts of the world. It's very relaxing to look out the window and watch wallabies quietly grazing. It is interesting that 30 acres there is considered a farm, but not here. Yes Queensland is a very diverse and beautiful state. 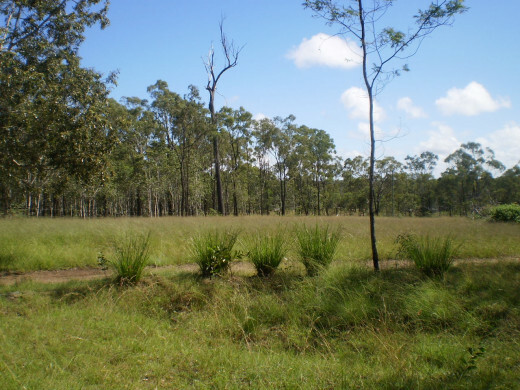 We have bush land like where I am, beautiful beaches on the coast, and luscious rain forests on the coastal fringes and far north. Glad you enjoyed this hub, I look forward to reading more of yours. 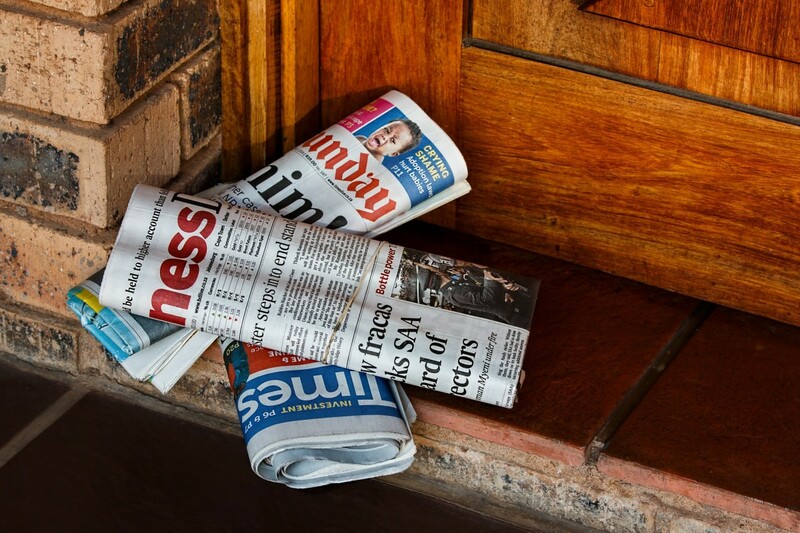 Oh my, how I love this article! I have learned so much! 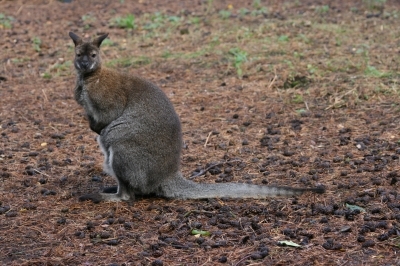 I would love to see the wallabies out my window everyday, how sweet and what a privilege, I'm sure. I'm also a 'blockie', although I didn't know this until reading this terrific article :) I love my "block" and all the wildlife and forestry that it provides and clearly, you do too. We are certainly very lucky. Interestingly, here in the US, my 30 acre "block" is considered a farm, weird huh? 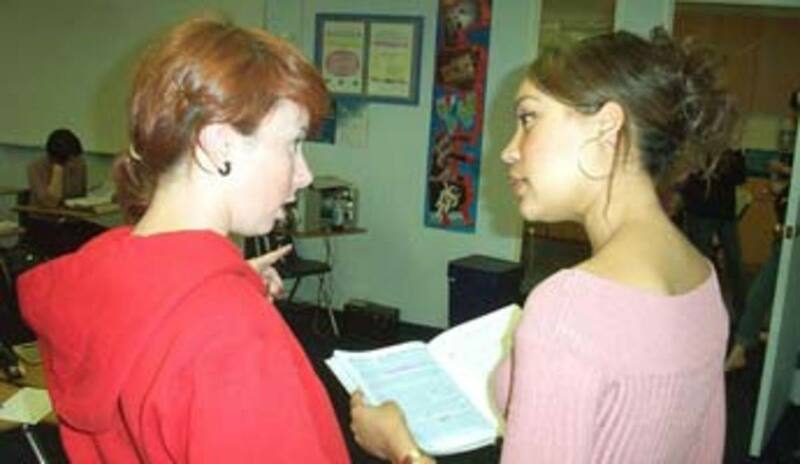 I have loved reading and learning about your beloved life on the block. Queensland sounds like an amazing and treasured area! Voted up! Thank you teaches, We have actually named our property "The Haven" so you hit the nail on the head. I'm sure you miss your mountain home. Yes kangaroos and wallabies are much more welcome than the snakes, fortunately we only see one or two snakes a year. Mostly they stay in the bush. Your home is a haven, my friend. We used to live in the mountains years ago and enjoyed peace such as this. There was a variety of wildlife in coexistence, even snakes. Snakes were never a welcome item with me but I suppose they do have their use in some parts. 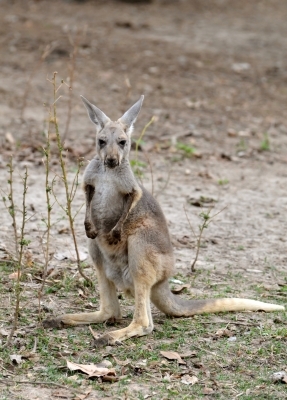 I would enjoy seeing the kangaroo and wallaby in the yard. Thank you for visiting and your great comment Victoria, and voting up. I am blessed to live here, but I too love to read hubs about where others live in other parts of the world and the beautiful photos they all share. Snakes, I've come to live with, though I found them scary at first too. Jamie, Thanks pal, glad you enjoyed this hub too. God's country. What a wonderful paradise you have. It's fascinating to read about other people's surroundings in different countries. I love the photos, too. I would be terrified of the snakes, though. I'm glad I don't have to deal with that. Even tiny snakes freak me out. :-) I enjoyed the hub. Many votes! It was a pleasure to share this, and I'm glad you enjoyed reading it and the images of birds and animals. Tasmania is a beautiful part of Australia and at one stage we considered moving there. Thank you for your kind comments. Jodah - Wonderful Hub with some amazing images of the creatures you share your acreage with. I have had the pleasure of visiting Australia a couple of times and love the birds and animals which one finds there. Two of my family members live in Tasmania so I am familiar with some of the creatures you describe. 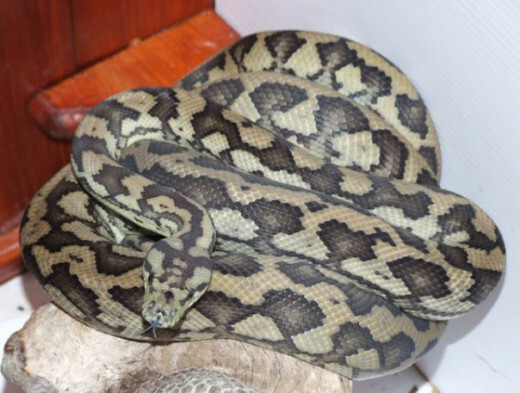 I can't say I envy you the snakes, having had two pythons live in my home for a while when I lived in South Africa. ! No, think you can keep the snakes. Love seeing the highly colored birds though and kookaburra is one of my favorite birds - thanks for sharing. Sometimes I think we take things for granted and don't really appreciate how well we have it. At times life seems a bit of a struggle because we don't have all the conveniences that make life easy, but what we do have more than makes up for that. We moved from a very big home also to this shed-come-house we built ourselves. I hope you also get your dream one day. We don't have any deer in the area, but I meant to add we have the occasional wandering emu family. Thanks for your compliments and the vote up Kim. You and your wife are living my dream. I have an acre and a home too big with the kids now grown. I want a very small home and lots of acres. Around here, deer are the wildlife that one must be aware of for many accidents occur because of deer jumping out in front of them. I think that it shows a respect for wildlife since one can check for a babe in the pouch and find it a home in a shelter. Voted Up/Shared. Just an all-around awesome hub. Thanks for reading another of my hubs Eddy, and voting up. You have a good day too there in Wales. Wow a wonderful hub once again Jodah .Voting up and wishing you a great day. Yes it's quite an attractive area as long as we are getting sufficient rainfall, and the wildlife is always interesting, though perhaps not as entertaining as that you have in Sydney. Thanks for the vote up and sharing too. Looks like you live in a beautiful part of Australia with wonderful wildlife. We have lots of wildlife in Sydney too, unfortunately most of it is the unwanted 'human' kind LOL! Great hub, voted up, beautiful and shared. Thanks drbj, I feel sorry for the snakes, nobody loves them..lol. Yes I think the pros outweigh the convicts...oh I mean cons....that's another hub. Although life as a 'blockie' may have a few disadvantages, Jodah, from the description of the amazing wildlife abundant in your own back yard, the advantages far outweigh them. I'm referring to the roos and the wallabies, of course, not the (ugh) snakes. Thank you for visiting my hub anyway poshcoffeeco, and I do hope you get to come to our shores one day too. Let me know when you're coming and I'll put a pot of coffee on. It is a good life we have...laid back. I would love to visit Aus one day. Sounds like you have an idyllic life. All mine free range Jodah, but we lock them up at night to protect them from the foxes. If we're going away for a few days, we leave them locked in a run. At the moment we're keeping the 'flighty scratchers' locked in a new run for a few weeks while the spring seeds take off. They have no respect for fences, lol and will scratch up my new gardens. The bantams and heavy hens, however, are out every day. 5 new chicks hatched yesterday. About a dozen eggs under another clucky hen. I found one python curled up in one of the nesting boxes, sound asleep with a full belly. I just picked up the nesting box, snake inside, placed it in the back of the car and drove it a few kilometres away for release in a new home. 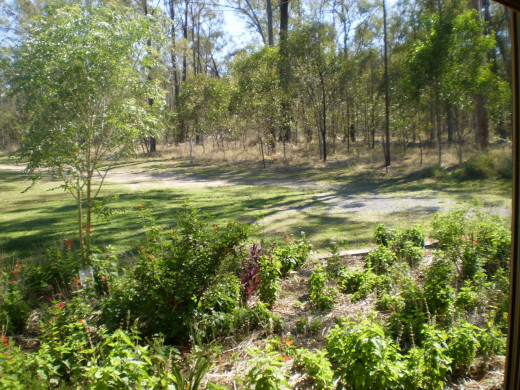 Our chooks are mostly free range so the chook house is usually open. Unfortunately our pekin bantams went the way of wild dogs. I regret not having locked them up. Thanks for voting up, I look forward to seeing more of your part of Australia too. lol. I loved your story about the python in the chook house, Jodah. We generally make all our little animal enclosures with 'snake and vermin' wire instead of chicken wire. I hate the idea of the guinea pigs and bantams being swallowed by snakes. Thank you kidscrafts, yes Australia is very unique, and the fact it is so far away from the other continents is probably our flora and fauna is so unique. Even New Zealand our closest neighbour has entirely different animal and plant species from us. I hope you do get to visit our shores one day, and thanks for your comment. I am really looking forward to the day I will be able to visit Australia! The fauna and the flora are so different than other parts of the world. It's a world in itself! 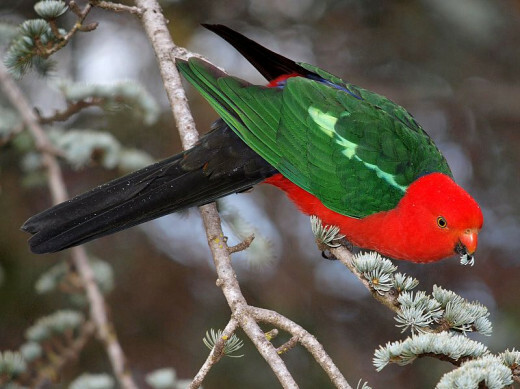 The King Parrot has beautiful colours! Thanks for visiting Eric, living in rural Australia you really have no choice but to learn to live with the creatures. Some are dangerous but as long as you show them respect you can usually live harmoniously. 40 acres is plenty big enough for me, but it's small in comparison to Randy's 350 acres. Hi svenster, thanks for checking out this hub. My place has a lot going for it but we still do it rough at times. We only have a small solar system and often have to rely on a generator for back up power. If that breaks down we are sometimes left with nothing. Some years we have drought and struggle for enough water to keep plants alive, others we have floods and are either trapped on our land or away and can't get home for a week. So it has its pros and cons. I love the land aspect, but I honestly would never ever be able to confront a snake or lizard, thankfully I live in the northeast of America, no snakes no lizards... Very interesting read, 40 acres is huge! Not too much now. I've retired and lease most of the open land for farming. Plenty of woodland left to roam though. Thanks for checking this hub out Randy and for the vote up. "..Green Acres is the place to be, block livin' is the life for me............just give me that countryside". Wow 350 acres that must keep you busy. Good to see you loveofnight. Thanks for reading and your wonderful comment. I am blessed living here. Take care. Thank you for reading and sharing wetnosedogs, yes the goannas is an interesting fellow and it can move at surprising speed. Fortunately most of the ones I have encountered at home have been of the smaller variety, around four feet. Thank you chef-de-jour, I agree Australia is a wonderful country full of unique creatures, but then I have never lived anywhere else so can't really compare it. Thank you for voting. Useful, interesting and fascinating; I would love to wake up in the morning and look out my window at the scenery that you have. How awesome it must be, you did a great job with this hub as well, a good read indeed. Be well and happy hubbing. This is fantastic. 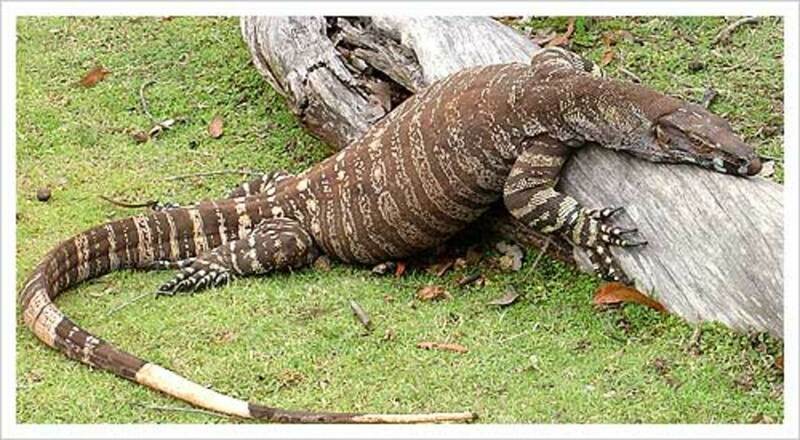 The Goanna must be a sight to see as well as the kangaroos and birds. Enjoy your rich- natured life. I lived in Perth for a few months way back when and loved seeing the wildlife, especially the birds. Parrots, galahs, kookaburras and the incredible magpies with their haunting flutey song. What a country! Yes, we saw lots of snakes and spiders but luckily no harm came our way. Votes for Down Under creatures. Thanks for taking to time to check out this hub Eric and for your generous comment. Yes, if there are children present the venomous snakes are usually soon deceased. Always a fight around our family property. Those of us with small kids, kill the venomous snakes. Those without move them. Good to see you visit Bill. Yes life is good, even though it has it's moments. 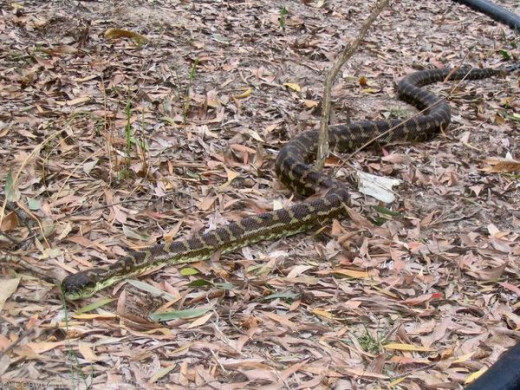 Hard to avoid snakes, but if you run a generator, the vibration is said to keep them away. Well I envy you the property but that snake thing....not so much. LOL Wonderful pics; you live a wonderful life my friend. Thanks Jackie, if you give the thumbs up it's good enough for me. I added all the photos I could find of my own. I did have pics of kangaroos and wallabies but I think they are on my old computer. As soon as I can take some new ones I will replace what pics I can with my own. I'll see about adding a map or poll. Interesting to hear about your snake encounter too. Oh this was just great Jodah!! I was hoping if you did one you would have your own pictures. Put a poll and a map and you will have an evergreen hub I bet! That is just for your benefit but for ours this is perfect. Everyone is going to love this! Now for those poisonous snakes I would just have to wop their heads off if I saw one. I had ones head right against my foot one time a few years back and I think it being full of eggs is all that saved me but my husband beheaded it and let my son take the head to school in a jar which was still moving and terrified me. I thought the teacher would call us to come get it for sure but she loved it as did all the kids. With all those cats though you probably are safe enough. Well again I am so pleased and will share this right now everywhere I can! Thanks for reading this hub Flourish and your comments. Yes I used to be quite terrified of the poisonous snakes as well, but living here you learn to adapt. My daughter keeps pythons as pets and breeds them. They can give a good bight too, but at least they aren't venomous. This was really fascinating, as we don't have these critters where I live. I loved reading about your life and interactions with the animals around you. The snakes, especially the poisonous ones, would do me in. I'd probably pee on my shoes and that's the end you'd hear about me.